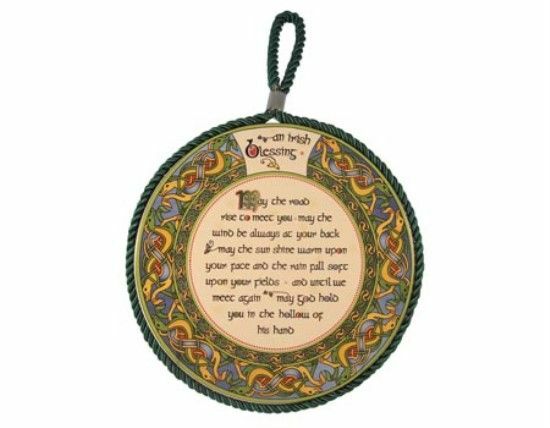 This colourful wall plaque is based in style on the highly ornate Irish manuscripts of the 9th Century. 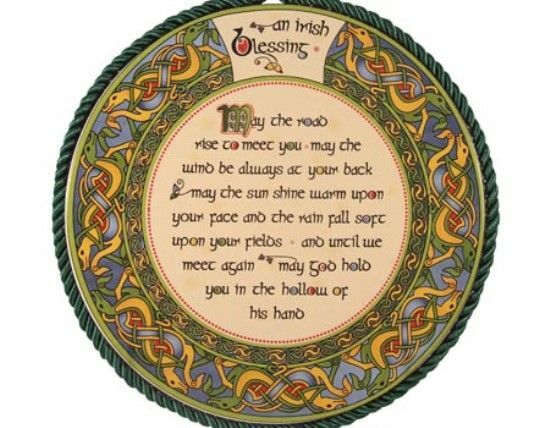 This is a traditional Irish blessing and is one of many blessings which are used on different occasions in Ireland. Many of the blessings represent wishes for plentiful harvests, healthy children and closeness to God.